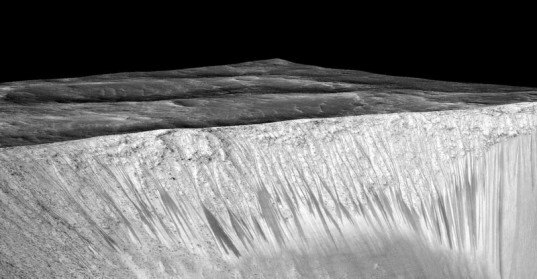 NASA believe Mars has ‘rivers’ of periodically flowing water – real, liquid water – which is of course the key component to supporting living things. Calling the announcement “Mars Mystery Solved,” NASA says images taken from the Mars orbit show ‘streaks’ running down the walls of valleys and craters that are caused by liquid water flowing during the planet’s summertime. This is a substantial conclusion because, if you know anything about Mars, you know that it’s a cold, cold place. The average temperature there is -80 degrees Fahrenheit. However, in the peak of summer, some spots on the red planet can rise to a balmy 70 degrees Fahrenheit, which is more than adequate warmth to thaw some of the ice locked away on Mars and release liquid water across its terrain. When NASA announces that it is going to make an announcement, a certain percentage of the world’s population starts sitting on the edge of their seats and doesn’t stop until the news it out. NASA’s much anticipated unveil today of a “major science finding” on Mars was no different, and the internet was abuzz leading up to the announcement. After all, it’s Mars. Although a lot of people were hoping to hear news of little green men, the real deal is the next best thing. Finding liquid water on Mars isn’t a shock, though. Scientists have long believed that a younger Mars had a much different climate and environment in the distant past, one that was much warmer and wetter than it is today. 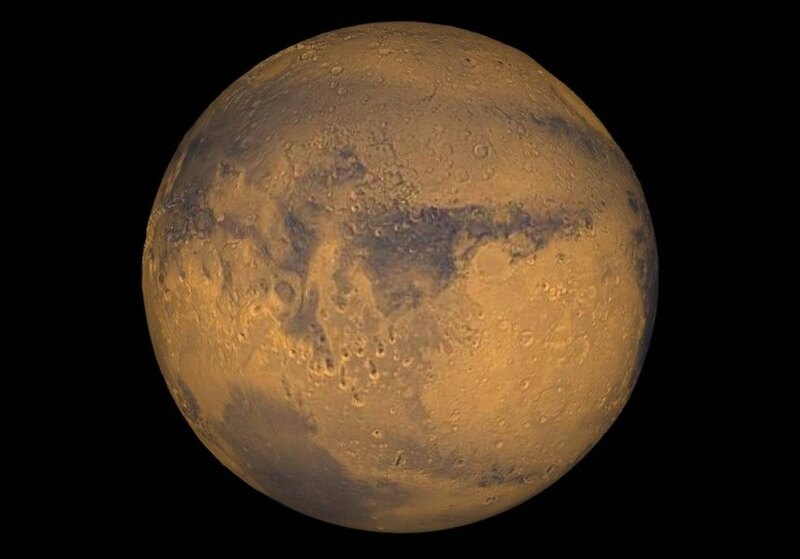 NASA used infrared telescopes to investigate evidence of past water on Mars, and found indications that confirm that hypothesis that the red planet did likely indeed have an ancient ocean. In fact, scientists believe that ocean could have covered as much as 30 percent of the surface of the planet. Even if there is currently water on Mars in liquid form, it doesn’t mean the planet can sustain life right now, but it’s possible. There are other elements necessary, and it’s not certain whether they exist in the quantities that would support life, even for single cell organisms. Essentially, the presence of water is just one big piece of the puzzle. When it comes to the question of humans living on Mars, that possibility is still a long ways off, due to the extremely cold temperatures on the red planet. It would take significant technology to create a climate that would be amenable to human life or, as Tesla CEO Elon Musk suggests, just a few nuclear bombs to warm the place up a bit.